The exhibit runs through April 26 in conjunction with the artPARK design project. The design team will be on hand at the opening. Come and share your thoughts and ideas about the design of a very prominent space in downtown Coshocton. RE-PAIRING TERRAIN was commissioned to bring attention to the need for pedestrian friendly public green-spaces along Atlanta’s abandoned BeltLine. 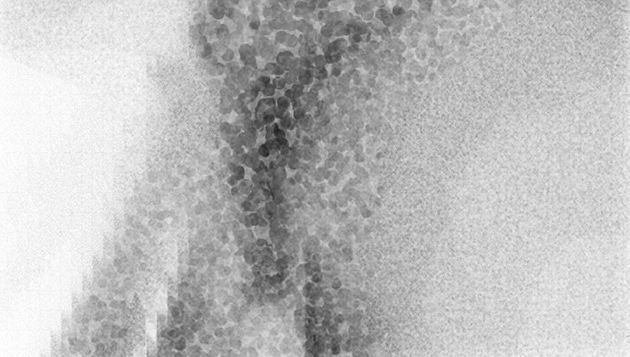 Using computer simulations, Tim Frank mapped shadows created by the BeltLine earth banks. 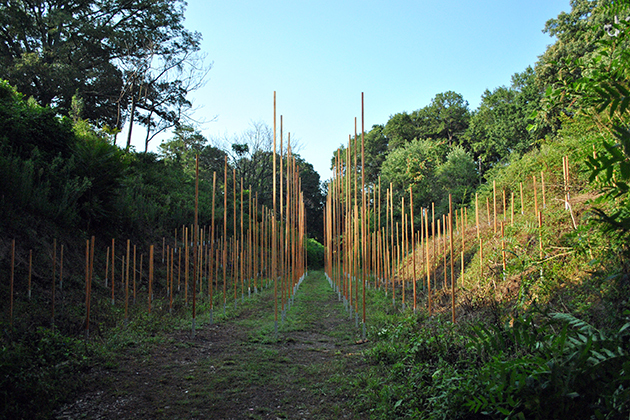 A field of slender fir columns were installed along the old track line in a five foot grid, physically mapping the shadow/solar data onto the designated 5000 sq. ft. area. As creators, performers, and audience members, we believe a community can find new ways of coming together …new opportunities to imagine and create a vision for the future…new ways to appreciate our shared cultural heritage as well as our individuality. As a "center" for the arts we provide a place for gathering.